Experience Atlanta in an inspirational new way, and enjoy the benefits of effortless hotel travel at Sheraton Atlanta Hotel. Southern charm and modern style blend impeccably in our expansive, completely renovated Atlanta hotel rooms and suites. The Sheraton reservation system has been corrected. The hotel apologies for any inconvenience that our attendees may have experienced over the past 10 days due to not being able to register online or on the 800 reservations number. They have confirmed that this issue is resolved. Please use the link or the 800 number we have listed below to secure your room. 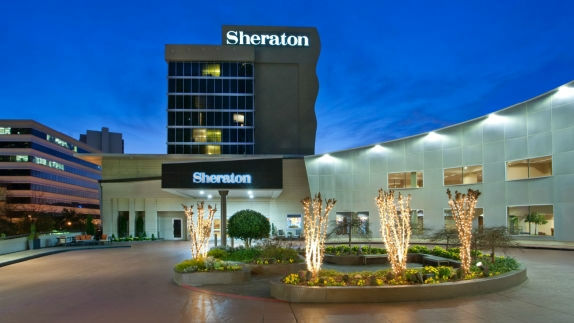 Also, AAAL has received notification that a company, Business Travel Management, has been reaching out to attendees offering to book their hotel rooms at nearby hotels due to the Sheraton block being full. Please note that the Sheraton has plenty of capacity in our block. AAAL has not and does not endorse the company, Business Travel Management. Should you receive a call or email from this company offering to secure you a hotel room, we recommend that you say no and notify the AAAL office immediately. Please note that those who have notified us of this situation received higher room rates than what our group rate is at the Sheraton. You may also call Delta Meeting Network® at 1.800.328.1111* Monday–Friday, 7:00 a.m. – 7:30 p.m. (CT) and refer to Meeting Event Code NY2E7.